Axial plastic wheel hub adapters are fully licensed by Vanquish Products for use with our Trail Ready Beadlock Wheels. Realistic 6 bolt design. 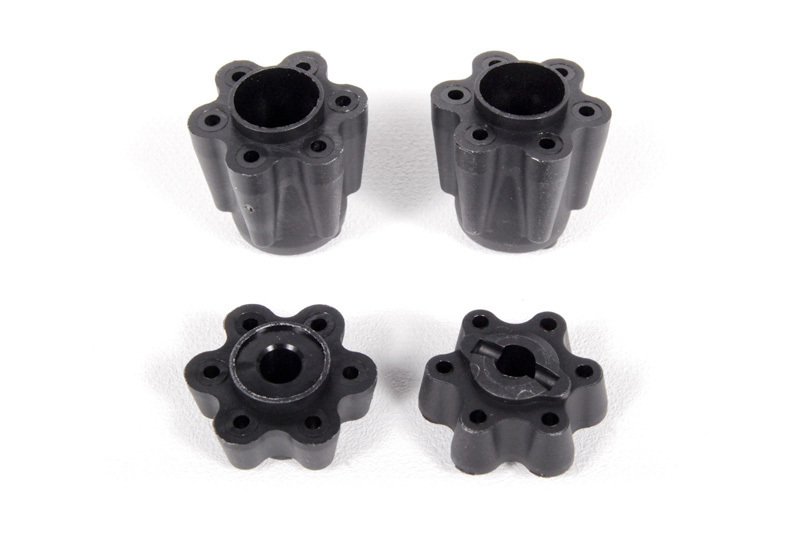 These unique cross pin hubs eliminate the need for standard 12mm drive hexes. Just bolt the hub over the cross pin in the outer axles and go!